Ordered the Transmission from Caterham UK. Paid Randy a deposit and my car will go into the next build cycle. I’m getting the Roadsport 170 with the regular S3 (not wide SV) chassis. Randy advised to go with the 170 bhp engine -I can always upgrade to 210bhp later with new camshaft, springs and updated ECU (engine control unit). Randy demonstrating the small trunk/boot (Us/Eng). Monday. Test drive was a blast. 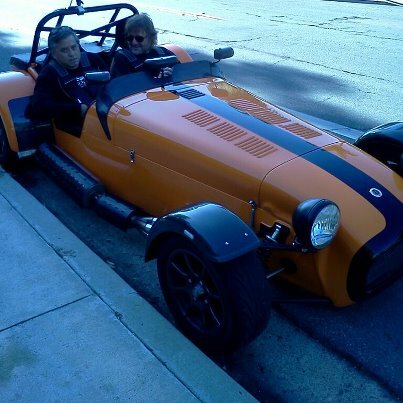 Randy took me to a winding road through the hills to really try the handling. The wind got my eyes watering over 70 mph. 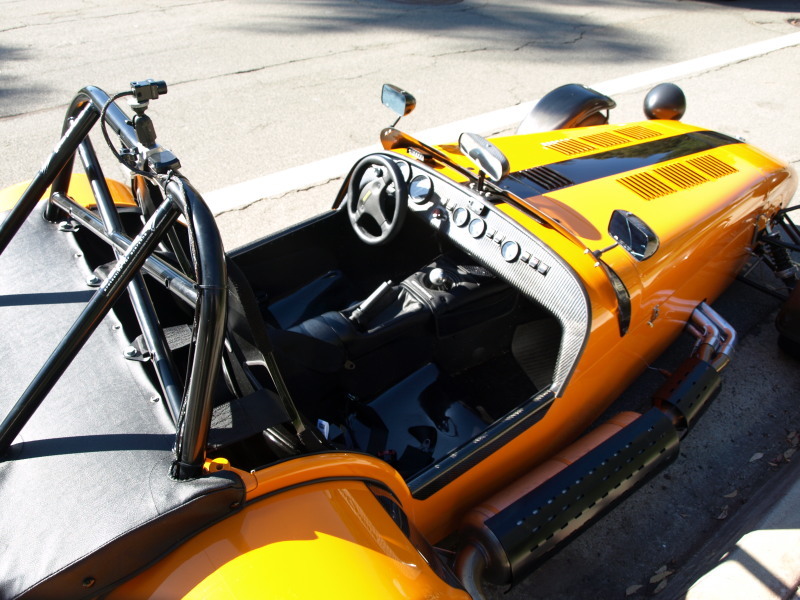 This car was the R400 superlight regular chassis with the 210bhp 2.0 liter Duratec. Sunday. 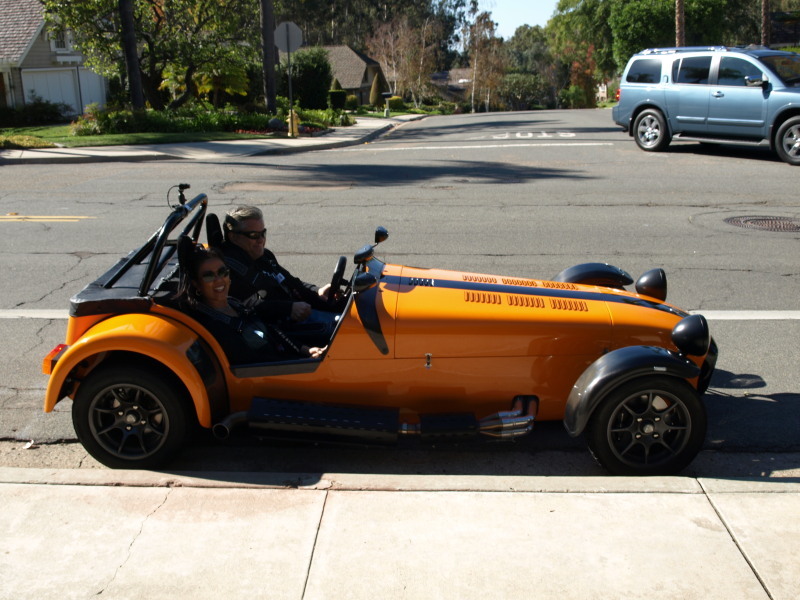 Drove to San Diego with Dot to go for a test drive of a 7 with Randy Chase, the Caterham dealer in California. Got a speeding ticket near Independence doing 80 mph in a 65mph zone. It ended up with a $400 fine and traffic school.